Riding a scooter to work or school is a fantastic way to save on both gas money and environmental emissions. But riding in the rain or snow is usually not an option thanks to the fact that the rider is vulnerable to the weather. 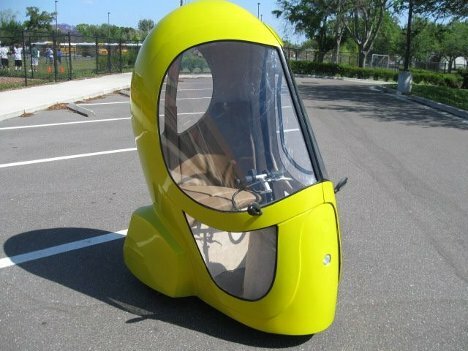 This funny-looking vehicle solves that problem in a simple and kind of adorable way: by enclosing the rider in an egg-like shell. 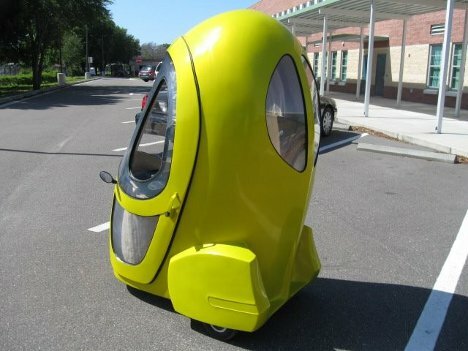 Although it looks somewhat like those concept vehicles that never seem to make it to production, the Eggasus is scheduled to begin northern hemisphere sales in late 2012. 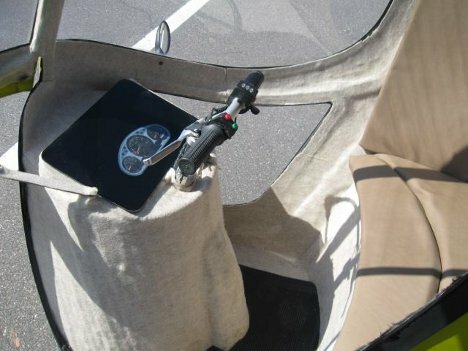 It features three wheels, one seat, and zero emissions. This tiny electric vehicle has a top speed of 25MPH and a range of 50 miles on a single charge. It doesn’t have the classic style of a Vespa, but it is unquestionably easier on your hairstyle. With a preliminary price tag of $5,000, the cute little scooter/car sounds like a great investment for shuttling yourself around every day. See more in Bikes & Cycles or under Transportation. July, 2012.